"Matters to which affidavits shall be confined. - (1) affidavits shall be confined to such facts as the deponent is able of his own knowledge to prove, except on interlocutory applications, on which statements of his belief may be admitted; provided that the grounds thereof are stated." 13. Order XI of the Supreme Court Rules 1966 deals with affidavits. Rule 5 of Order XI is a virtual replica of Order XIX Rule 3 (1). Order XI Rule 5 of the Supreme Court Rules is therefore set out: "Affidavits shall be confined to such facts as the deponent is able of his own knowledge to prove, except on interlocutory applications, on which statements of his belief may be admitted, provided that the grounds thereof are stated." "13. In this Order, `affidavit' includes a petition or other document required to be sworn or verified; and `sworn' includes affirmed. In the verification of petitions, pleadings or other proceedings, statements based on personal knowledge shall be distinguished from statements based on information and belief. In the case of statements based on information, the deponent shall disclose the source of this information." "We desire to impress on those who propose to rely on affidavits that, in future, the provisions of Order XIX, Rule 3, must be strictly observed, and every affidavit should clearly express how much is a statement of the deponent's knowledge and how much is a statement of his belief, and the grounds of belief must be stated with sufficient particularity to enable the Court to judge whether it would be sage to act on the deponent's belief." "We wish, however, to observe that the verification of the affidavits produced here is defective. The body of the affidavit discloses that certain matters were known to the Secretary who made the affidavit personally. The verification however states that everything was true to the best of his information and belief. We point this out as slipshod verifications of this type might well in a given case lead to a rejection of the affidavit. Verification should invariably be modelled on the lines of Order 19, Rule 3, of the Civil Procedure Code, whether the Code applies in terms or not. And when the matter deposed to is not based on personal knowledge the sources of information should be clearly disclosed. We draw attention to the remarks of Jenkins, C. J. and Woodroffe, J. in Padmabati Dasi vs. Rasik Lal Dhar 37 Cal 259 and endorse the learned Judges' observations." "The question then is: What were the materials placed by the appellants in support of this case which the respondents had to answer? According to Paragraph 27 of the petition, the proximate cause for the issuance of the order was the discussion that the two friends of the 2nd respondent had with him, the petition which they filed at his instance and the direction which the 2nd respondent gave to respondent No. 7. But these allegations are not grounded on any knowledge but only on reasons to believe. Even for their reasons to believe, the appellants do not disclose any information on which they were founded. No particulars as to the alleged discussion with the 2nd respondent, or of the petition which the said two friends were said to have made, such as its contents, its time or to which authority it was made are forthcoming. It is true that in a case of this kind it would be difficult for a petitioner to have personal knowledge in regard to an averment of mala fides, but then were such knowledge is wanting he has to disclose his source of information so that the other side gets a fair chance to verify it and make an effective answer. In such a situation, this Court had to observe in 1952 SCR 674: AIR 1952 SC 317, that as slipshod verifications of affidavits might lead to their rejection, they should be modelled on the lines of O. XIX, R. 3 of the Civil Procedure Code and that where an averment is not based on personal knowledge, the source of information should be clearly deposed. In making these observations this Court endorse the remarks as regards verification made in the Calcutta decision in Padmabati Dasi v. Rasik Lal Dhar, (1910) ILR 37 Cal 259." "The appellant filed an affidavit in support of the petition. Neither the petition nor the affidavit was verified. The affidavits which were filed in answer to the appellant's petition were also not verified. The reasons for verification of affidavits are to enable the Court to find out which facts can be said to be proved on the affidavit evidence of rival parties. Allegations may be true to knowledge or allegations may be true to information received from persons or allegations may be based on records. The importance of verification is to test the genuineness and authenticity of allegations and also to make the deponent responsible for allegations. In essence verification is required to enable the Court to find out as to whether it will be safe to act on such affidavit evidence. In the present case, the affidavits of all the parties suffer from the mischief of lack of proper verification with the result that the affidavits should not be admissible in evidence." 19. In the case of Virendra Kumar Saklecha v. Jagjiwan and others, [(1972) 1 SCC 826], this Court while dealing with an election petition dealt with the importance of disclosure of source of information in an affidavit. This Court held that non-disclosure will indicate that the election petitioner did not come forward with the source of information at the first opportunity. The importance of disclosing such source is to give the other side notice of the same and also to give an opportunity to the other side to test the veracity and genuineness of the source of information. The same principle also applies to the petitioner in this petition under Article 32 which is based on allegations of political motivation against some political parties in causing alleged interception of his telephone. The absence of such disclosure in the affidavit, which was filed along with the petition, raises a prima facie impression that the writ petition was based on unreliable facts. 21. The purpose of Rules 5 and 13 of the Supreme Court Rules, set out above, has been explained by this Court in the case of Smt. Savitramma v. Cicil Naronha and another, AIR 1988 SCC 1987. This Court held, in para 2 at page 1988, as follows: "...In the case of statements based on information the deponent shall disclose the source of his information. Similar provisions are contained in Order 19, Rule 3 of the Code of Civil Procedure. Affidavit is a mode of placing evidence before the Court. A party may prove a fact or facts by means of affidavit before this Court but such affidavit should be in accordance with Order XI, Rules 5 and 13 of the Supreme Court Rules. The purpose underlying Rules 5 and 13 of Order XI of the Supreme Court Rules is to enable the Court to find out as to whether it would be safe to act on such evidence and to enable the court to know as to what facts are based in the affidavit on the basis of personal knowledge, information and belief as this is relevant for the purpose of appreciating the evidence placed before the Court, in the form of affidavit...."
"...If the statement of facts is based on information the source of information must be disclosed in the affidavit. An affidavit which does not comply with the provisions of Order XI of the Supreme Court Rules, has no probative value and it is liable to be rejected..."
23. In laying down the aforesaid principles, this Court in Smt. 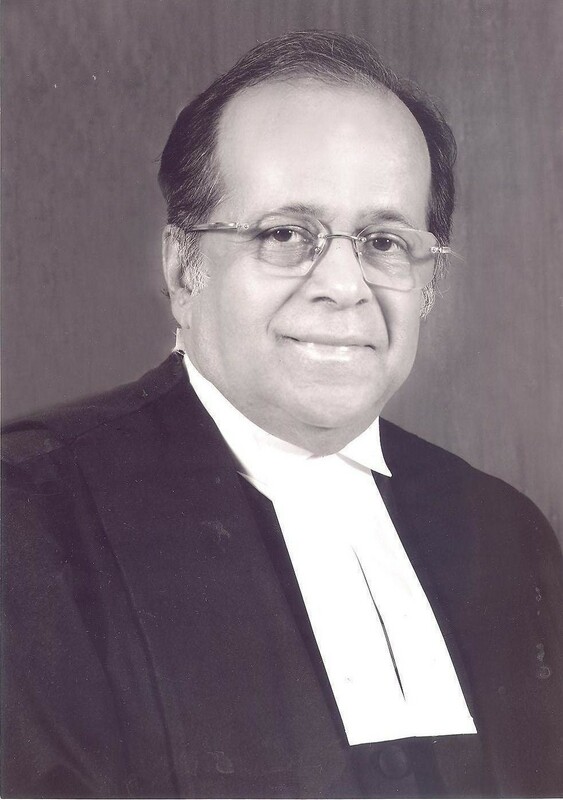 Savitramma (supra) relied on a full Bench judgment in Purushottam Jog Naik (supra). 24. In the instant case, the petitioner invoked the extraordinary writ jurisdiction of this Court under Article 32, without filing a proper affidavit as required in terms of Order XIX Rule 3 of the Code. Apart from the fact that the petitioner invoked Article 32, the nature of the challenge in his petition is very serious in the sense that he is alleging an attempt by the government of intercepting his phone and he is further alleging that in making this attempt the government is acting on extraneous considerations, and is virtually acting in furtherance of the design of the ruling party. It is, therefore, imperative that before making such an allegation the petitioner should be careful, circumspect and file a proper affidavit in support of his averment in the petition. 25. In our judgment, this is the primary duty of a petitioner who invokes the extraordinary jurisdiction of this Court under Article 32. 65. This court wants to make one thing clear i.e. perfunctory and slipshod affidavits which are not consistent either with Order XIX Rule 3 of the CPC or with Order XI Rules 5 and 13 of the Supreme Court Rules should not be entertained by this Court. 66. In fact three Constitution Bench judgments of this Court in Purushottam Jog Naik (supra), Barium Chemicals Ltd. (supra) and A.K.K. Nambiar (supra) and in several other judgments pointed out the importance of filing affidavits following the discipline of the provision in the Code and the said rules. 67. These rules, reiterated by this Court time and again, are aimed at protecting the Court against frivolous litigation must not be diluted or ignored. However, in practice they are frequently flouted by the litigants and often ignored by the Registry of this Court. The instant petition is an illustration of the same. If the rules for affirming affidavit according to Supreme Court were followed, it would have been difficult for the petitioner to file this petition and so much of judicial time would have been saved. This case is not isolated instance. There are innumerable cases which have been filed with affidavits affirmed in a slipshod manner. 68. This Court, therefore, directs that the Registry must henceforth strictly scrutinize all the affidavits, all petitions and applications and will reject or note as defective all those which are not consistent with the mandate of Order XIX Rule 3 of the CPC and Order XI Rules 5 and 13 of the Supreme Court Rules. whether all laws are made for lawyers? if lay man can not comply with any law is it law? villager once remarked: lawyers sit in parliament and make laws for themselves; without feeding them we can't obey the law or know the law! while the laws are meant for common man, it is made so cumbrous that without a lawyer being available it cannot be used. what a pity! With all due Respects, this legal Blog is very very nice & useful for all those who want their individual Query's answer meaninfully. Nice Efforts indeed ! This blog is not only useful to litigants but to lawyers as well. Even we lawyers cannot claim to know the law, its application as well as its impact.Thank you sir for taking initiative to aware the general people for their own benefits. can you please tell whether the date of attestation of affidavit and date of verification of the plaint has to be same or not? The date of verification of Plaint and the date of attestation of its supporting Affidavit should be the same.